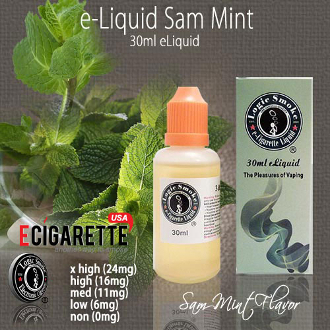 If you are a menthol cigarette smoker, Sam Mint E-liquid from Logic Smoke is a wonderful liquid for you to add to your vaping collection. It is a good, even mix of tobacco flavor and mint and will remind you of the menthol cigarettes you have left behind. Pick up a bottle of Logic Smoke E-liquid and enjoy.